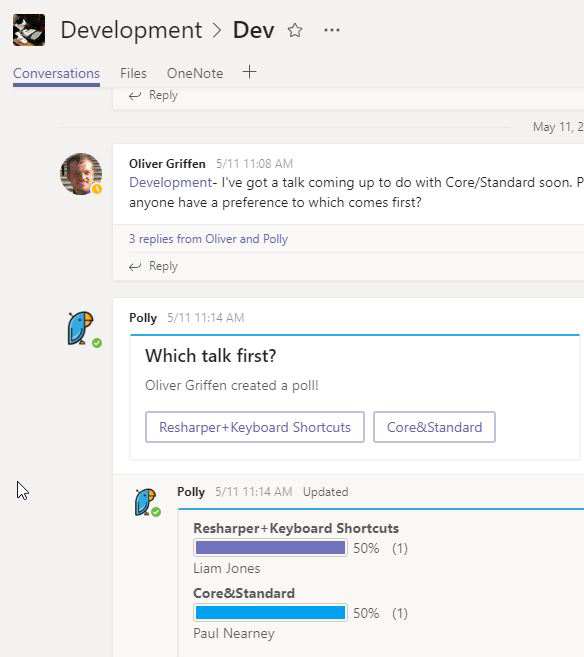 Microsoft Teams has continuously enabled integration of useful apps - consisting of parts such as tabs, bots and connectors - which extend user experience with the collaboration platform. 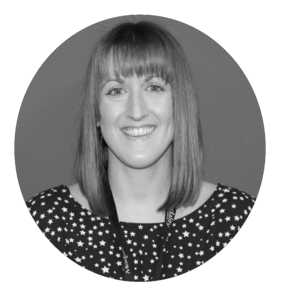 In her latest blog, self-professed ‘Teams Queen’ and Project Manager Lyndsay Ansell lists her top five Teams applications. I take a LOT of meeting notes, and where better place to put them? 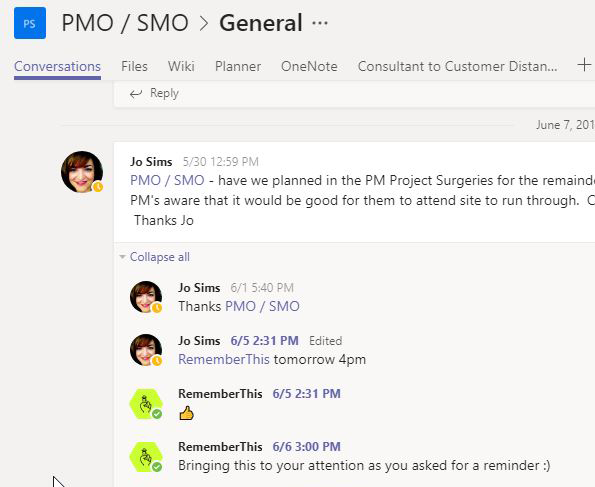 I won't preach to the converted - existing OneNote users will already know why it's so handy - but being able to keep all relevant notes in the right channel helps me to be more organised. For users who haven't yet dabbled in OneNote, just have a little go, I'd be surprised if you turn back! Not only has this little app got a cute bird logo (first penguins, now parrots … I'm not obsessed with birds, honest), it gives a super simple way for Team members to quickly vote on a question in-channel. You provide the question and answer options, Polly does the vote counting for you. Here's a quick video on how to set up your first poll in Polly! I'm so glad one of my favourite productivity tools can hook into Teams. I'm part of Trello boards for all sorts of Team activities, from workflow tracking to crazy-idea-organising. It gives me a comforting sense of harmony to know this lives inside Teams with everything else. Sometimes there's a channel thread that I want to come back to later, which risks getting lost behind newer chat threads. RememberThis, created by our very own Tom Morgan, helps by re-commenting on that thread at a time you set - bringing it back to your attention via the top of your activity feed. Handy stuff when I'm busy trying to remember everything else! 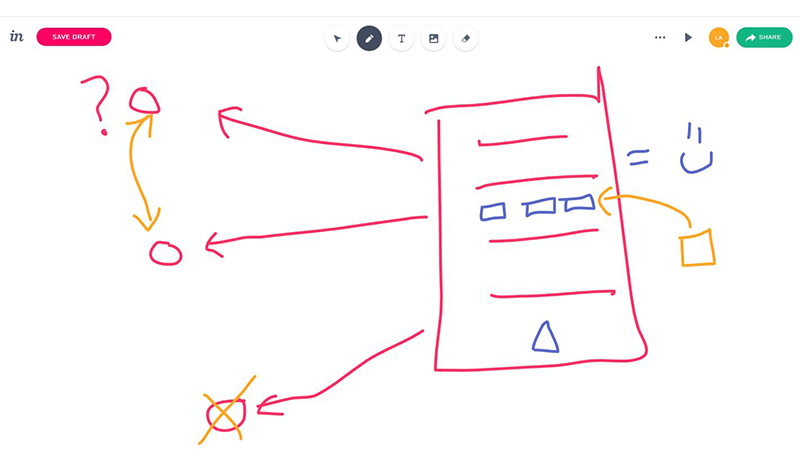 This is a really easy-to-use digital whiteboard everyone can collaborate on at the same time. 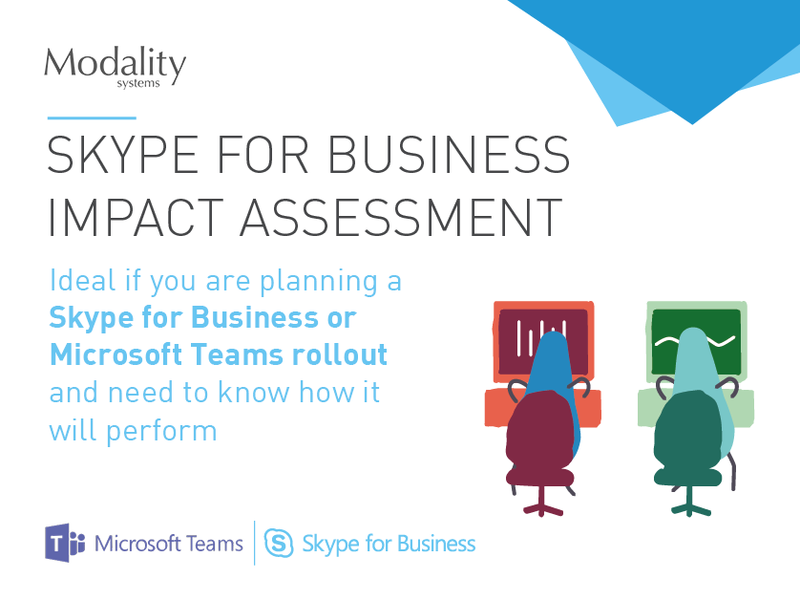 It is especially useful for remote collaboration. Our development team have used this for Sprint Retrospectives (typically done using a physical whiteboard) when Team members are working remotely. Each contributor has an identifier, so you can see who's been tempted to draw the silly pictures too. Having all these apps within easy reach via tabs in Teams channels is really helping drive efficiency in my working activities. Have you tried them out yet? Let us know your top 5 in the comments below. Confused about which Office 365 tool to use when? Watch our webinar on demand. Use cases for the various Microsoft O365 applications; Teams, Yammer, Skype for Business and email. How to successfully utilise your Microsoft Office 365 products within the business. The cultural considerations required to enable success - it's not just about the technology deployed, it's about the people. How to maintain the momentum to continue driving consumption and ultimately business value. Best practice insights from both the market and our own experiences. Subscribe to our blog to keep up with our latest Teams tips and insights.